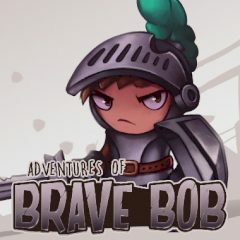 Brave Bob is a young knight that seeks for adventures. Help him to defeat hostile creatures. Brave Bob is going to explore lands and deal with challenges ahead. Get your armor and a sword and try to win battles. Use your advantages to strike!